Tested Technology laps up technology. But the first part of our name is even more important. While we’re always keen to keep readers up to date with what’s going on in IT, we’re not in the business of leaping into print with a cut-and-paste from the latest whizzo spec sheet. Or a faithful echo of the manufacturer’s brochure. We’re not a news sheet. We test stuff. We live with it. And when we’re done—however long that might take—we let you know what that was like. If this means we often lag behind what you can see on YouTube or read in the noisier ad-supported mags, so be it. 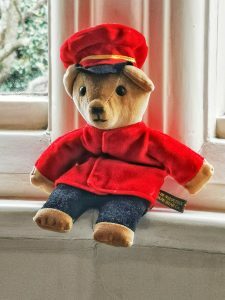 We cross our fingers and hope that, in this fast moving business, the product that’s soaked up our time over the past weeks or (often) months, won’t be old hat by the time we come to publish. This does happen. Sometimes. What, happily, never happens is that another publication turns out, significantly earlier, to have pipped us at the post with a review that reveals everything we’ve discovered about a particular product and comes to similar conclusions about it to our own. Never say never. It’s happened. Gizmodo’s Huawei Mate 20 Pro review by Holly Brockwell is the case in point. Her review is a full exploration of the phone and something you might want to read first before deciding whether to carry on with our coverage here. 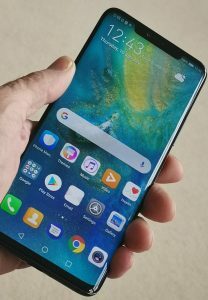 THE HUAWEI MATE 20 PRO IS THE most complete smartphone that has ever crossed my desk. In July I was telling you I thought the OnePlus 6 was pretty near peak smartphone—and indeed, I still do. Bearing in mind that since our review of that phone its price has fallen from around £520 to £450 for the 8GB/128GB version, that OnePlus 6 is now even more of a bargain. At the time of writing—two months since the launch of the Mate 20 Pro—the official price of this Huawei masterpiece is still £900, exactly twice the price of the OnePlus 6 we were raving about here last summer. Is it twice as good? No. One key point to bear in mind when making this comparison is that the OnePlus 6 at this price comes with 8GB of RAM. The Mate 20 Pro has 6GB. There’s a law of diminishing returns at work here, as pretty well everywhere else. And if it were my own money I’d quite definitely be plumping for the OnePlus 6. But I was lucky enough to be at the London Launch along with around 2,000 other journalists from around the world. 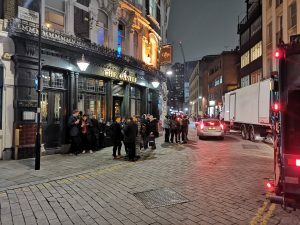 As far as I know, we all walked away with a Mate 20 Pro to test and keep. I don’t know of any other phone manufacturer that hands out its product to the press with such largesse. You’ll have read the news about governmental suspicion across the Western world about Huawei’s motives and methods, the historic ties between the company’s management and the upper echelon of China’s ruling Communist party. Personally, I’ve been happy with the efforts of the combined GCHQ/Huawei enterprise called “The Cell” in providing checks and balances. But there’s no doubt that since I wrote that in my review of the Honor 7X, governmental pressure against Huawei has heated up considerably, although directed mainly against employing Chinese-made equipment in telecoms infrastructure. This is certainly something you might what to take into consideration. The Mate 20 Pro has a small speaker, visible at the top of the screen in the middle of the notch, which is where you need it for phone conversations. How is it, then, that when you rotate to landscape and play movies you get moderately decent stereo? There’s a second speaker at the bottom. But you’ll look for it in vain unless you know the secret. The fiendishly cunning manufacturers have concealed that second speaker inside the USB Type C socket! Surprisingly, putting this socket to its normal use, with a USB charger cable attached, impacts only minimally on the volume. Having said that, the speakers aren’t as loud as I’d like. For a typical YouTube video I would normally have to crank the volume up to 100%. At that setting you can move around a quiet kitchen without losing track of what you’re listening to. But don’t start cooking or working the espresso machine. I have to take issue, though, with Huawei’s claim that the audio output is “Dolby Atmos”, a branding that Dolby has recently started licencing to Android phone manufacturers. I’ve heard skin-tingling Dolby Atmos in specially built small home cinemas and I’ve been subjected to quite dreadful £400 “home cinema” versions of (nominally) the same technology. Properly done, this isn’t a bunch of digital sound processing (DSP) you impose on your old stereo recordings, it’s a true multi-channel system that needs to start in the studio and be carried through wide bandwidth to a non-trivial number of high quality loudspeakers distributed across 3D space. Dolby, it seems, has been quite happy to dilute the brand value by “certifying” some quite surprisingly poor implementations. I don’t include Android in that list, because it’s clear that what we have here is, if anything at all, “Dolby Atmos Lite”. It’s a decent enough DSP capable of adding a sense of spatial expansion to your music. There’s a lot to play with when you switch on Android’s “Dolby Atmos”. In Smart Mode, the software claims, “Dolby Atmos automatically identifies content and performs optimisations to deliver exceptional audio quality.” There was no way of testing this convincingly, but I was prepared to take their word for it. If you don’t trust this you have the option to switch between Film (“Authentic surround sound and clearer dialogue optimised for films and TV shows”) or Music mode (“Rich, detailed audio that delivers every note and beat with power you can feel.”) You’ll need to decide for yourself whether this marketese is meaningful in any way. Through headphones only. Without headphones it’s inactive, although Huawei’s literature is vague on this point. Ah, yes, those headphones. The better-than-average earbuds supplied with the phone end in a USB type C plug. The 3.5mm audio socket we’ve come to love over the past—gosh!—60 years (it was introduced in the 1950s) is gone. Analogue-wise (through the concealed speaker) or digitally, that USB Type C connector at the bottom of the Mate 20 Pro is the escape route for all your music. Oddly, the first time I plugged in the supplied DAC cable a message popped up on the screen suggesting I’d be better off using digital earbuds that come in the box. In case you’re still fond of your old 3.5mm jack headphones (I certainly am) Huawei thoughtfully provides a 3.5mm socket to USB Type C dongle. I’m not too sure of the quality of DAC (digital to analogue converter) you’d be able to cram into the tiny space available, but it seems to work surprisingly convincingly with my old Sennheiser Momentum headphones. Make that “quadruple”, if you count the selfie camera. This is a 24-MP camera with the now more-or-less standard f-2.0 fixed aperture and a slightly wideish focal length of 26mm. For selfies it has a Portrait mode with the inevitable Beauty mode option if you feel the need for a smoother skin, a thinner face and some added warmth. More usefully, perhaps, you have the option to throw the background out of focus, emulating the wide aperture lens on a standard camera. Under some conditions—for example, with foliage behind, or a landscape of city lights at night—this out of focus effect produces “bokeh“. Regular bokeh shows out-of-focus points of light as tiny blurred reflections of the camera iris. As there’s no iris controlling the f-stop of the Mate 20 Pro’s cameras the bokeh will be regular blurred circles. But if you get bored with this, Huawei’s camera software lets you change it to hearts, swirls or discs. Optionally, you can trigger a selfie with a smile. An alternative trigger, activated in the Camera app Settings under Audio Control, is to say the word “Cheese”. This, you might be forgiven for thinking, is somewhat, er, cheesy. In fact, I’ve found it one of the more useful camera features (way ahead of Smile and Beauty Mode) because you can also use it to trigger the main camera. Why would you want to do this? See the end of this camera section*. A square with rounded corners dominates the back of the Huawei Mate 20 Pro. Dice-like, it encompasses a set of four small roundels. Three of these are cameras, the upper left roundel being a two-colour LED flash. The whole array carries the Leica brand. This is not to say—as many commentators have assumed—that the components (the lenses and sensors) are manufactured by Leica. Huawei has been co-engineering smartphone cameras with the famous German optical company Leica since 2016. During those past few years, the industry in general has been exploring how you can apply compute power to an array of small cameras to emulate—or exceed—the capabilities of a traditional single large lens camera. And even come close to the versatility of a professional lens-swapping DSLR. Note that I’m calling these “cameras”, not, as many reviewers do, “lenses”. It’s important to understand that each camera is collecting, through its own individual set of sensors, a different data set. In a sense, yes, the array can be regarded as a single camera with a set of interchangeable, zoomable lenses. But it’s useful to understand the mechanics of this “virtual camera” if you want to use it to best effect. The camera app gives you a choice of resolutions: 40 MP or 10 MP (both in 4:3 aspect ratio), 7 MP (1:1) or 6 MP (18.8:9). Virtualisation of the camera array only works in the three lower resolutions: if you want to shoot at 40 MP you’ll only be using the main camera. At the lower resolutions—10 MP, 7 MP and 6 MP—software will be adjusting, blending and stitching the images captured from all three cameras to deliver the magnification you’ve set. No false modesty about this slide from last year’s Huawei conference in Berlin. The camera app offers a number of different modes; alternatively, you can switch on “Master AI“, which claims to “Automatically select the best shooting mode based on your setting.” If you’re not into fiddling with the options this does a pretty good job. Tested Technology has no tools for investigating Huawei’s claims about how “Master AI” works, but according to the company’s literature the NPU (neural processing unit) that’s part of the proprietary Kirin 980 core computing hardware is able to identify individual objects in the photo you’re taking and apply appropriate “Photoshopping” in real time. The blue of blue skies is enriched. Outlines and textures are appropriately sharpened. AI can ensure that highlights aren’t washed out and tonal differences in the darker areas are maintained. Versions of camera AI in Huawei’s earlier phones implemented this feature by default, without the option to turn it off. Many users objected and professional photographers were—unsurprisingly—appalled. The Mate 20 Pro leaves Master AI switched off by default, but it’s there in the settings if and when you need it. The Castle, Cowcross St, Farringdon, London. Night. Perhaps the prime example of AI at work is the camera’s Night Mode. The 40 MP main camera starts off with an advantage here: its f1.2 aperture gathers more light than most smartphones. 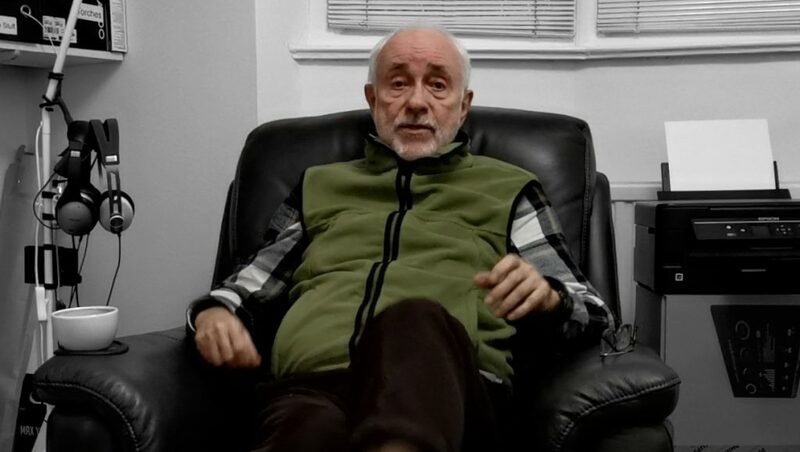 As with normal day photography, the software is also able to make use of images gathered by the other two cameras, correcting for the parallax differences. But Night Mode takes this a step further. Long exposure is how a normal camera would hope to gather an image from the sparsity of photons at night. That’s not appropriate in a hand-held device. Huawei’s Night Mode appears to take a long exposure shot, but instead takes a succession of separate shots over the course of four seconds. The NPU then chooses the best of these shots, adding in information from the unused shots where appropriate. One big difference between this approach and a regular long exposure is that the chosen best shot will be short. Objects that move across the frame during those four seconds won’t be blurred Francis Baconish images. In all the collected shots a car will be recognised as a car, and details of the car missing from the chosen key shot can be deduced from the other images. The AI is capable of compensating for perspective transformation and distance translation. Details of the background that don’t move from frame to frame can, of course, be optimised using simple addition. I won’t go through all the main camera modes here, but as well as Night, two others deserve mentioning. Video: While you would still need a gimble stabiliser like the Zhiyun Smooth 4 for serious film work, the good news is that the Mate 20 Pro applies a very useful level of physical and AI-guided electronic stabilisation—even up to 4K resolution. The framerate at 4K is limited to 25 fps but if you stick to HD you have a choice between 30 fps and 60 fps. Ultra-wide angle shots lend a capacious look to the scene and you can zoom in from there to a 3x magnification without any loss of resolution. A reverse finger-pinch on the screen can even take this zoom up to 10x although now we’re using digital magnification. 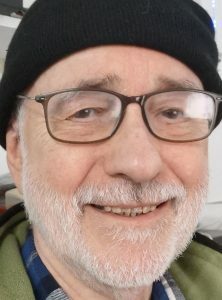 The picture remains acceptable but I couldn’t find any way of keeping the zoom smooth while holding the camera with one hand and reverse finger-pinching with the other. If you’re going to attempt a digital zoom like that it’s probably best to do it in post production with a movie editor like HitFilm Express on your computer. 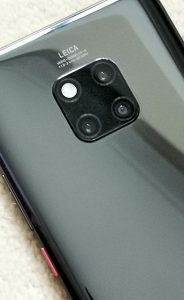 The Mate 20 Pro video recording format is H264 MP4. Unlike some other phones’ videos this is a very editor-friendly format that drops straight into HitFilm without any need for intermedia re-encoding, with lip-sync faithfully preserved. When used for video, the main camera offers five different real-time filters along with the now seemingly mandatory “Beauty Mode”. You could be forgiven for ignoring all this (which can be much more comprehensively done in post-production). But one of these filters is strikingly novel. Using Huawei’s much-touted AI—the filter is called “AI Colour” (British spelling, interestingly)—it undertakes the extraordinary task of detecting your presence in the scene and showing you in natural full colour against a background rendered totally in monochrome. It’s trick that you may have seen already among smartphone options for still photos. But here Huawei is using its rapid-response AI to analyse moving footage frame-by-frame in real time. No mean feat. Does it work? Yes, remarkably well, most of the time. In my tests, there were occasions when a quick head movement could obliterate the colour for a frame or two. Or a hand, breaking into the frame for a gesture during a waist shot might take a second or two before being rendered in colour. If you want to use this technique seriously it’s clear that you’ll need to learn the disciple. Early days yet for Huawei’s AI. But it’s certainly useable. Metering: This determines the way the camera is going to set its exposure (if you’re not setting that parameter manually). The choice is between Average (general illumination across the whole frame), Centre Weighted (measuring overall light but with emphasis on the centre of the frame), and Spot (allowing you to choose the position of the measurement by touching the screen at that point). ISO: In the days of chemical photography this was a measure of the “speed” of the film, the degree of its sensitivity to light. Fast film was used to take pictures in dark conditions or with very short exposures, as when shooting rapid action. Slow film was used for much better tonal rendering when shooting motionless subjects in good light. Digital photography can emulate film speed and with the same trade-offs—fast film introduces visible grain, slow film needs a lot of light. Speed: Not to be confused with film speed, this is a measure of how long the sensors are exposed to light coming from the scene. Short exposure time freezes motion but needs more light; long exposure gathers more light but any subjects that move will appear blurred. EV: This stands for “Exposure Value”. Pro mode doesn’t give you direct control over the traditional photography parameter of the f-stop (the amount of light allowed into the camera at any given instant, determined by a variable iris that physically opens and closes). As we’ve mentioned, none of the Mate 20 Pro’s cameras has this feature. In the past, EV was introduced in the middle of the last century as a simplified way of setting the combination of f-stop and shutter speed. In the context of the Mate 20 Pro it controls the combination of shutter speed and ISO. Another valuable feature of Pro mode is that you have the option to save your shot in uncompressed RAW format. …I find I can’t get my finger down to the camera button. I fold my finger back, but my hand has moved and now the frame and focus are lost. “Cheese” comes to the rescue. In that earlier OnePlus 6 review, we discussed the pros and cons of encasing an expensive smartphone entirely in glass. Modern Gorilla glass is tough—but it’s still glass. One of the very first things I do when getting to work on a new all-glass phone is to hide its fragile beauty in a suitable case. As it happens, Huawei bundles a case with the Mate 20 Pro. It’s transparent TPU (thermoplastic polyurethane) and fits nicely and unobtrusively. With a cheaper metal-backed phone I’d be inclined to trust it. But for this particular, definitely drop-averse, smartphone I turned again to the helpful folks at Urban Armour Gear. There’s a certain Baroque exaggeration about these UAG cases. It not enough that they’re tough. The design has to shout “tough”. The light alloy frame of this Monarch version is encased in multiple layers of impact-resistant material, with top grain leather trimming in the recesses between the protective ribs. The overall effect is a sheath of hard black rubber incorporating a readily responsive volume rocker switch and the power switch. UAG says the case “meets 2X Military drop-test standards (MIL STD 810G 516.6)”. It’s never very clear what this might mean in practice. MIL-STD-810G is one of many US Department of Defense standards and it mainly defines the environment of the test, leaving the methodology broadly open. It specifies the number of drops (26 in all, onto each side and corner) but allows switching between five different samples throughout the test. And the “thick plywood” surface defined in the spec may not represent the worst drop zone your phone and case are likely to encounter. 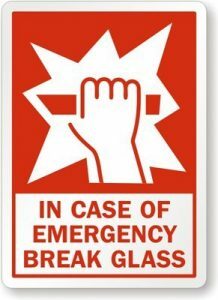 Even if the case protects your phone against shattering, there’s still a chance, of course, that the shock might adversely affect the delicate electronics. 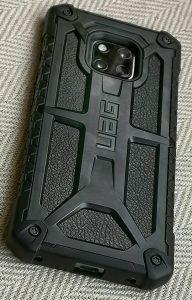 UAG provides a 10-year guarantee—but of course, that covers the case, not your phone. The Mate 20 Pro itself is dust-proof and waterproof to IP68 (but again it’s probably worth understanding what these specs actually mean). And, as Holly Blackwell points out in her piece (here, if you haven’t already read it), the normal wear and tear of everyday use can be expected to change this, and Huawei offers no guarantee against submersion in water. I was a keen fan of wireless charging when it first appeared around 2011. But three technology changes since then—fast wire charging, much longer lasting batteries and the arrival of the reversible USB Type C form factor—changed my mind. The Mate 20 Pro has changed it back again. Yes, wireless charging remains significantly slower than sticking in a USB plug. If your Mate 20 Pro is down to 5% charge and you need it back in action, the USB Huawei proprietary “Supercharger” provided with the smartphone will boost that 4,200mAh battery to 50% (which typically carries me through an average day) in around 24 minutes. The TYLT VÜ Wireless Charging Cradle takes about 90 minutes to charge the phone from empty to 50%. But I’m sold on the convenience of wireless charging. 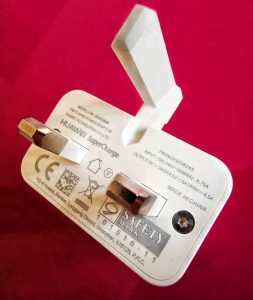 Even though USB Type C connection is now so much simpler than that infuriating microUSB plug that was never the right way round at your first attempt, nothing could be easier than slipping the Mate 20 Pro onto the TYLT cradle on the bedside table before I turn out the light. As a bonus, the cradle keeps the Mate 20 Pro’s always-on OLED date and time display in my eyeline. The Mate 20 Pro’s facial recognition is built around much the same technology as used by Apple in the iPhone X. A low-intensity infrared projector beside the camera lens sprinkles your face with an array of regularly spaced dots. The contours of your face will displace this regularity in the flat plane the camera sees, and from these displacements the software is able to deduce a close approximation to those depth values. Reading your features in three dimensions ensures (so the theory goes) that a photograph of your face won’t fool the facial recognition. At the October launch, Huawei took this a step further with a live demonstration intended to suggest that this mechanism could be extended to include more general 3D object scanning. The black and white toy panda that was the subject of this demo was presented at various angles to the laser/camera combo of the Mate 20 Pro’s selfie camera until all its 3D characteristics had been measured. This took a little under a minute. Moments later, the phone had computed these data into a photograph that could be rotated on the screen in all three dimensions with demonstrator’s finger, a solid representation of the panda captured inside the camera. This was impressive enough. But the Huawei application was able to take this another step further. By applying “skeletal mapping” to define to the software which are the arms, legs, head, body and so forth, the panda was able to come to life, walking, dancing and doing karate movements under the direction of the demonstrator. 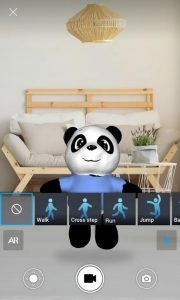 Switch into AR mode, and the panda can be shown cavorting beside you on your living room sofa, with recordings to be shared with your friends. The application, 3D Live Maker, wasn’t available at the time of the launch and journalists had no opportunity to test this until version 1.0 emerged in the Android Play Store in mid-November. Those of us who’d had hopes this could be used for general purpose 3D scanning (in conjunction with a 3D printer, perhaps) were quickly disappointed. The October demonstration had pretty well shown the full capabilities of the app, with a carefully chosen target (a crisply black and white toy) and a very well rehearsed data-gathering routine. Pulling in that 3D scan isn’t nearly as easy as it looked in October. Because you’re using the selfie camera to do the scanning you’ll be peering in at the screen from an acute angle to make sure you’re tracking the object correctly. My solution was to use the Android mirroring feature (buried in the Android app called Home in the Additional section of the Account page) to cast the phone’s screen to my nVidia Shield TV. Now you can set up the scanning without having to squint sideways. The selfie camera should be looking down at about 45 degrees onto an extent of flat surface with a three-dimensional object on it. Size seems to be important: a toy soldier is too small and anything bigger than a typical pillow becomes unmanageable. The app needs to begin by recognising the surface, which needs to be truly flat—a crinkled bed cover won’t work. Cedric is a bean bear and too floppy for scanning. You can tell when the camera has recognised the surface: it lays down a virtual blue plane on top of it. Parts of the object that are too close to the camera show up in red. Areas of the object turn white as they are recognised while the parts yet to be mapped show up as pale blue. A progress bar shows you how the process is going. Sadly, I’m unable to display my favourite toy, Cedric, participating in the 3D Live Maker carnival. He’s floppy, and when you turn him around in front of the camera the changes of shape confuse the software. My progress bar never reached 100% with Cedric although we spent hours together giving it our best shot. Several illuminating (and amusing) failures are on display on YouTube. One successful and instructive YouTube demo does manage to pull it off. Here YouTuber szeszo offers a much more coherent presentation than anything I managed to achieve. We end as we began: the Huawei Mate 20 Pro is a winner. Even as the Chinese company comes under ever sharper scrutiny and suspicion, reviewers across the board are acclaiming its products, and this latest one in particular. The only serious objections I’ve come across have been to the interface software. It’s the latest commercially available version of Android (version 9, aka Pie), which is a big plus. The minus is Huawei’s proprietary twist on Android’s look and feel. EMUI (the Emotion User Interface) is rather more liked by reviewers than it once was but is still the sticking point for many. So you might prefer—as I do—to straighten out its quirks by adding a third party launcher. My own preference is the Evie Launcher, free of charge from the Google Play Store. You’ll get a warning when you install it that it will use more battery, but with a battery this size there’s really nothing to worry about. Phone service providers are offering the Mate 20 Pro on contract for starting prices under £50. You’re generally better off, though, if you can buy a phone like this outright. The shopping-around price for the 6GB/128GB version has dropped since I opened this lengthy review and is now under £700. Yes, you’re right to feel tempted.